Backflip Studios has announced its new game publishing initiative Backflip Publishing, which will bring the company’s mobile experience to third party game developers. As part of this announcement, Backflip Studios announced two partnerships with game developers: LightBox Interactive and HandCircus. Backflip Publishing will focus on building long-term partnerships with developers, and on releasing a few high-quality apps, over a larger quantity of games. 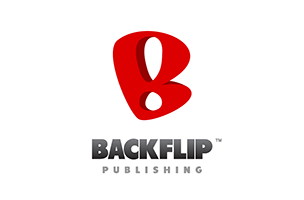 “Our experience in mobile, game design, monetization and marketing, along with our ongoing support beyond launch, are just a few of the advantages to partnering with Backflip Publishing,” said Julian Farrior, CEO and Founder of Backflip Studios. Via these partnerships, Backflip will offer developers help with user acquisition, analytics and capital where needed. The company’s own games, including DragonVale, have been downloaded more than 300 million times, giving Backflip the market knowledge it finds necessary to help other developers succeed. LightBox Interactive’s PlunderNauts will launch in Spring 2014, while HandCircus’s Seabeard will come to mobile this Summer. PlunderNauts will offer a mix of space exploration and pirate battles, as players travel the universe collecting plunder. Meanwhile, Seabeard offers an open world with islands to explore, along with a quest generation system that looks to offer “nearly infinite content” for players. In addition to completing quests, gamers will have access to sailing and fishing mini-games. Backflip is currently looking for additional developer partnerships, and encourages interested teams to learn more on its website.